Somerset Road Club has members drawn from Taunton, Bridgwater and the surrounding area, with wide ranging interests and abilities. Although we have a strong allegiance to racing, promoting road and circuit races and time trials, the majority of members don’t race and value the social aspect of cycling in the club and love a good cafe stop. 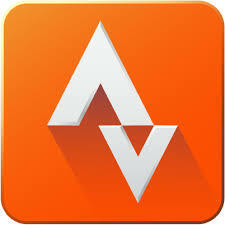 For more information about our rides, check out our Club Rides page and FAQ section. 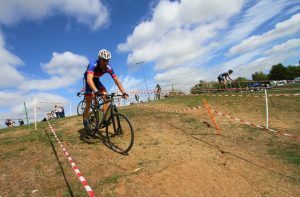 As well as road cycling, we have members competing in cyclo-cross and mountain biking and welcome new members of all ages, interests and abilities. If you are interested in joining our cycling club, please see further information under the FAQ section or email our Membership Secretary for further details. In addition to this website, we also have a Facebook Page and Facebook Group where more information is posted about current events and ad-hoc rides. We are proud to have a long established relationship with our sponsor The Bicycle Chain, who have stores in Taunton, Bridgwater and Weston-super-Mare. Please support our sponsor and ensure these local cycle stores continue to thrive. Unfortunately, due to poor attendance last season with both entrants and volunteers to support, we have taken the difficult decision to abandon the U21 club 10 TTs. Somerset Road Club shared a post. What a cracking venue for the social night next week! Heard nothing but good things about the place!To celebrate our Cafe opening we are offering 2 lucky winners the chance to enjoy lunch on us! 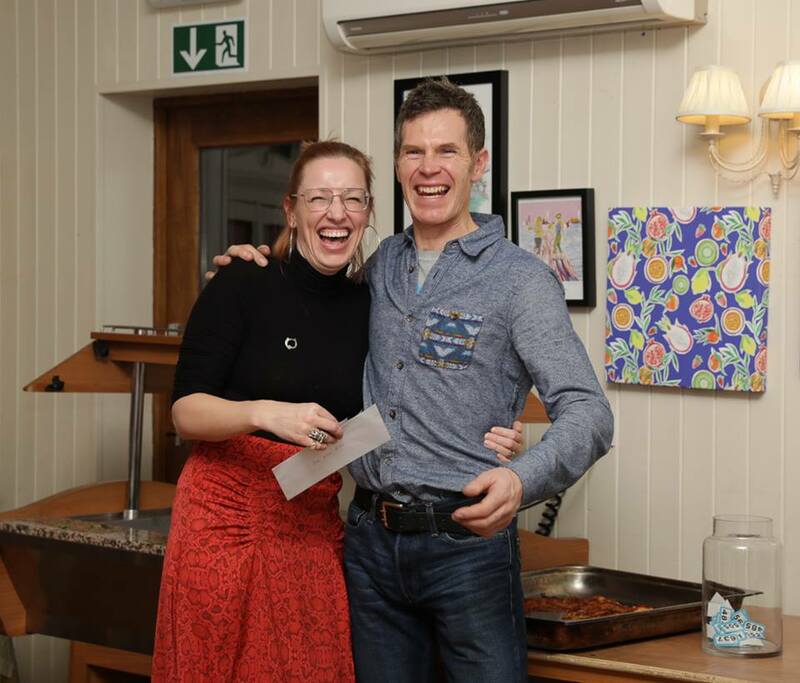 Last call for tickets to our pizza night / awards presentation / social gathering with special guest Ed Pratt (world record holder for unicycling around the world) Tickets available to non club members for £20. Somerset Road Club members participate in all forms of cycling including road and circuit racing, time trials, track, touring, sportives and leisure riding. Check out the brief details below for more information. If you are new to cycling or perhaps thinking of purchasing your first bike you might find visiting The Bicycle Chain stores in Taunton, Bridgwater or Weston-super-Mare a great help or talk to some of our members. 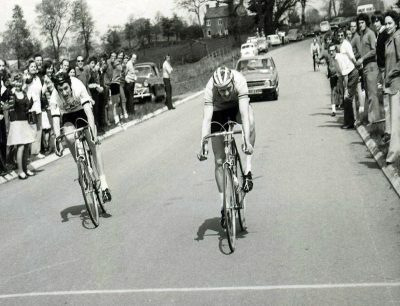 Somerset Road Club has riders actively participating in road and circuit racing at various levels, with 2nd, 3rd and 4th category riders in the club. Busiest over the spring and summer, but also competing in winter league circuit races. Everybody can enjoy Time Trialling, and it’s a great introduction to competitive cycling. 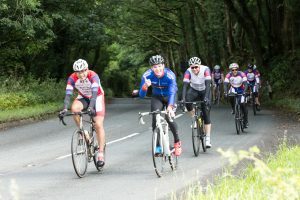 The club promotes ‘Open’ events when entry is required online in advance through the Cycling Time Trials (CTT) website, with the closing date generally around 12 days before the event. We also run 10 mile ‘Club’ Time Trials during the summer, which don’t require advance entry. Time Trialling is managed locally by a number of Districts, with Somerset Road Club falling within the West District, the extent of the district can be seen on the CTT website. Basic information for beginners can be found in this CTT website article and advice on your first Time trial in this article. Cyclo-Cross is possibly one of the hardest 60 minute workouts you will ever try on a bike, and is great for your bike handling skills! We have members competing through the autumn and into winter in events across the Southwest, including the Southwest Cyclo-Cross league. Although we’re largely road focused, we have members taking part in competitive and social off road events throughout the year, with the Quantock Hills within easy reach of most members. 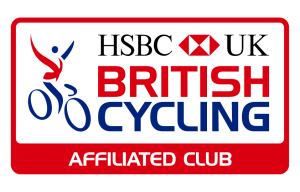 A number of our club members enjoy cyclosportives and use them as part of their training. 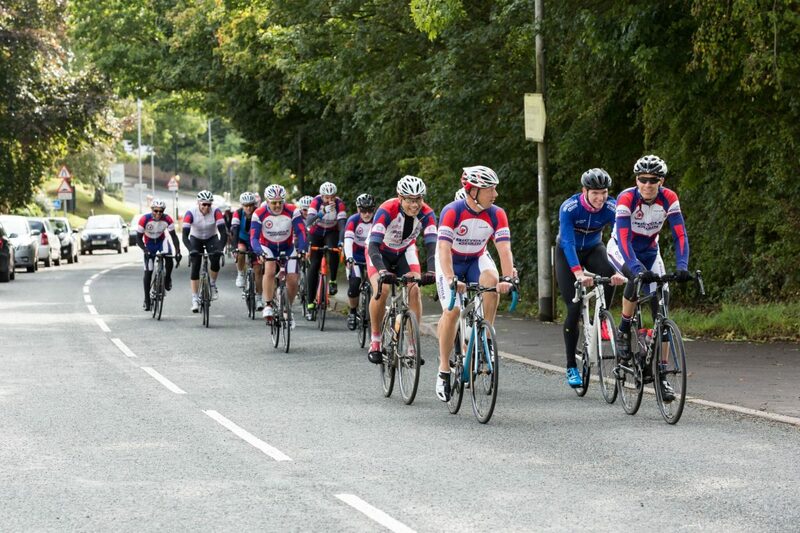 The club regularly has a team entering the Prudential Ride London event. We have an active social side to the club, both on and off the bike throughout the year. I’m interested in joining Somerset Road Club, can I come on club rides before joining? Yes, you can join us on one or two club rides on a come and try it basis. If you enjoy these rides and would like to continue riding with us, we ask that you join the club. We have rides of varying distance and pace, please contact the Membership Secretary before joining us so we can ensure you join a suitable ride and that we know to expect you. How old do I have to be to come on club rides? We welcome members of all ages. However, we require that parents or guardians of young people taking part in all our club activities complete our parental consent form. This form should be completed by the parent/guardian of anyone under the age of 18 years wishing to take part in Somerset Road Club activities. In addition, riders under the age of 16 years must also be accompanied by a parent/guardian or a nominated accompanying adult provided on this form. We have a range of rides leaving the Taunton and Bridgwater area most Saturday mornings (see the Club Rides section). Up-to-date information on rides is posted on our Members Only Facebook Group and the Membership Secretary can provide you with temporary access to give you a flavour of our activities if you are interested in joining.